NF (5847) - So yesterday mentioned top level 5917. It went upto that level and correction started yesterday. if not break this level today also, timebeing this is the top out level. Now upside hurdle 5877_5887 and below 5825 slide to 5797 and 5767. LT (1934) - Strong Hurdle 1945-1965 expect correction 1890_1870. But in case if trade and stays above 1945-1965 then going to attack 2140. SARDAEN (290) - Above 288-285 once again last hurdle 300-305 but above this going to attack 340-343. SINTEX (357) - On 14 sep. posted here, above 395 upside 410_420. whereas it made a high 397 and from there it crashed to 355. now what next ? Below 360 last hope 349 but after that next slide 338-336 & 326 But if stays below this ultimate 301. TATACHEM (413) - On 24 aug. posted here, above 415 next attack 430_440. as expected it went upto 434 and from there it corrected to 411. now what next ? Last hope 405 but below this take it down to 385-380. Upside hurdle remain same at 430_440. TATAMOTORS (1029) - Last hope 1009 but below this come down to 985_975 in case if close below 975 come down to 900_880. 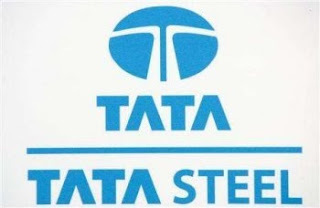 TATASTEEL (595) - On 08 sep posted here, above 588 going to attack 612. as expected it made a high 615 from there it corrected to 592. now what next ? last hope 586_580. trade and close below 580 come down to 553-548. upside hurdle remain same at 608-612. UNIONBANK (369) - On 14 sep. posted here target 386-390. yesterday exactly it made a high 385 and corrected from there. Now what next ? below 365 fall continue to 354-350. upside hurdle remain same at 386-390.